Becoming a "convenience logician" in the sense of "convenience stores"
JSPS Research Fellowships for Young Scientists. 2011--2013. Classified among the 20 best candidates in Japanese Mathematical Olympiad. 2002. Alessandro Facchini, Yoichi Hirai, Maarten Marx, and Evgeny Sherkhonov: Containment for conditional tree patterns. Logical Methods in Computer Science, 2015. 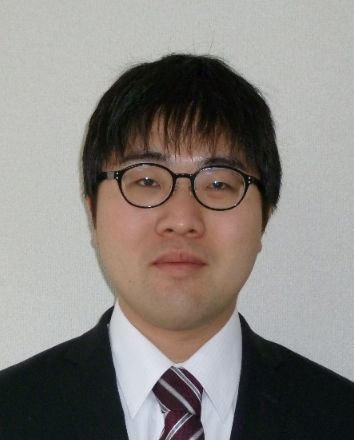 Yoichi Hirai: Session Types in Abelian Logic, accepted to PLACES'13. Yoichi Hirai: A Lambda Calculus for Gödel-Dummett Logic Capturing Waitfreedom, FLOPS 2012, LNCS 7294, pp. 151-165 (draft slide). Kosuke Ono, Yoichi Hirai, Masami Hagiya, Natsuko Noda and Yoshinori Tanabe: Using Coq in Specification and Program Extraction of Hadoop MapReduce Applications, SEFM'11, 2011. Yoichi Hirai: An Intuitionistic Epistemic Logic for Sequential Consistency on Shared Memory. LPAR-16. 2010. Yoichi Hirai: Duality between Nondeterminism and Concurrency on Generalized Petri Net, Bachelor's Thesis, 2008 (pdf). Yoichi Hirai: An Intuitionistic Epistemic Logic for Asynchronous Communication, Master's Thesis, 2010 (pdf). Yoichi Hirai: Hyper-Lambda Calculi, Doctoral Thesis, 2013 (pdf). Yoichi Hirai: formal verification of smart contracts (Ethereum Meetup Berlin 2016-11-01). Session Types in Abelian Logic, PPL2013, 2013. Hyper-Lambda Calculi, LOng Seminar, Oxford, 2013. A. Facchini, Y. Hirai, M. Marx, E. Shekhernov: Containment for higher order tree patterns, FOX Closing Event, 2012. Yoichi Hirai wants to be a traveling merchant at student session of OPLSS 2011. Yoichi Hirai: Hyper-lambda calculus for waitfree computation: theory and implementation at ACAN workshop, 2011. Yoichi Hirai: Determining the Valid Parameters for the Weight-Balanced Tree Algorithm at The 4th DIKU-IST Joint Workshop, 2011. Yoichi Hirai: Disjunction Property and Finite Model Property For an Intuitionistic Epistemic Logic (NASSLLI2010 student session) (slide (pdf), paper). Summer 2008: TA for logic excersise class. Summer 2009: TA for logic excersise class. Summer 2010: TA for logic excersise class. An error of PostgreSQL found by me. This page is powered by bootstrap framework.